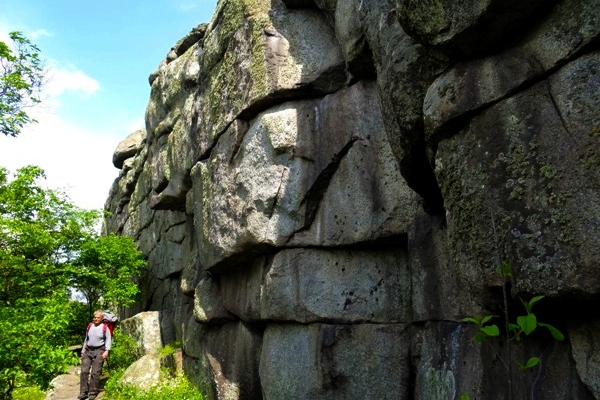 The route passes through landscaped parks "Monastyrische" and "Priingulsky landscape park". 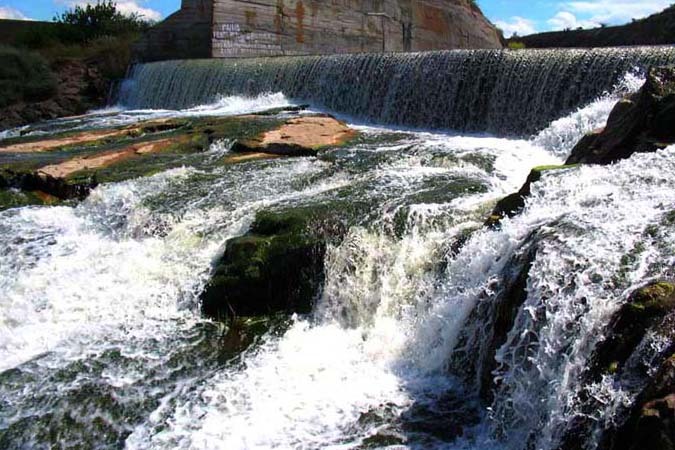 | Туристична фірма "Хан-Тенгри"
The route passes through landscaped parks “Monastyrische” and Priingulsky landscape park. “Monastyrische” – is a pre-Christian temple, a pagan cult building with altars and sacred symbols on the stones. “Monastyrische” is cloaked in legends. One of them says about the hidden Cossacks’ treasure in one of the caves of the park. There are many picturesque places to be seen in Priingulsky landscape park. Here the ponds and rocks are harmoniously combined. 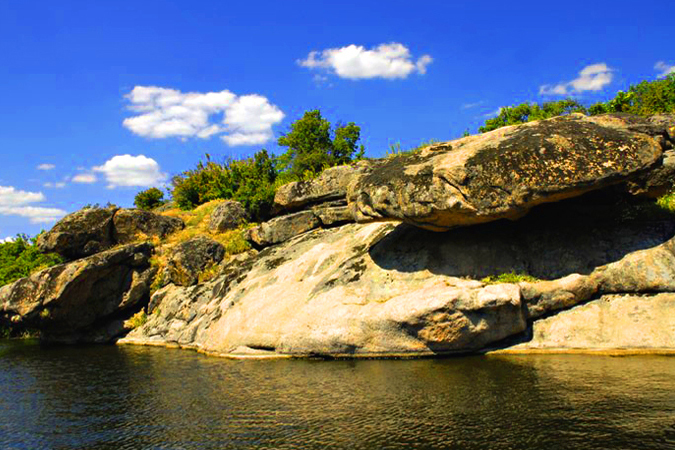 Many of the cliffs have their names – “Pugach”, “Stolb” (pillar) (or “Rock of stone heroes”), “Sleeping Beauty”, etc. 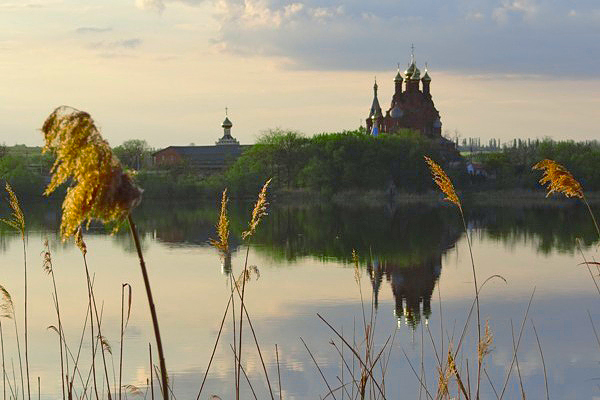 Here the famous Pelageevsky monastery is situated. 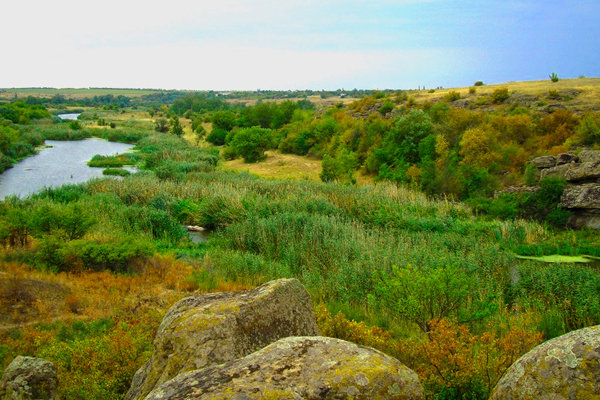 Day1: The route starts in the v.Rozanovka, Mykolaiv oblast. You can get to the village from the Noviy Bug town by coach. You can arrive to Noviy Bug by train or bus. 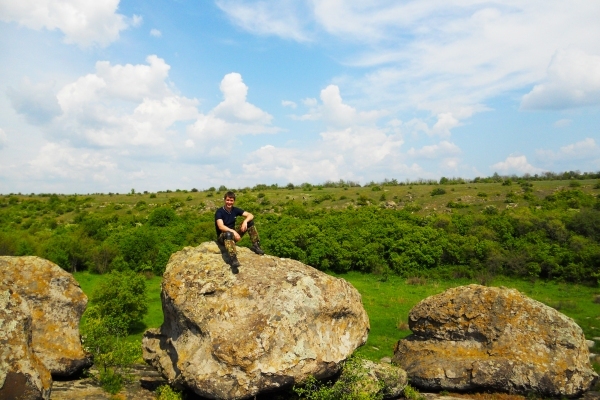 We spend our time in landscape park “Monastyrische.” Radial hike along the river Beryozovka. Crossing. Hike to the village Zavturovo. Lunch (snack) on the way. Visiting Scythian burial mounds. Travelling along the riverbank Inhul. 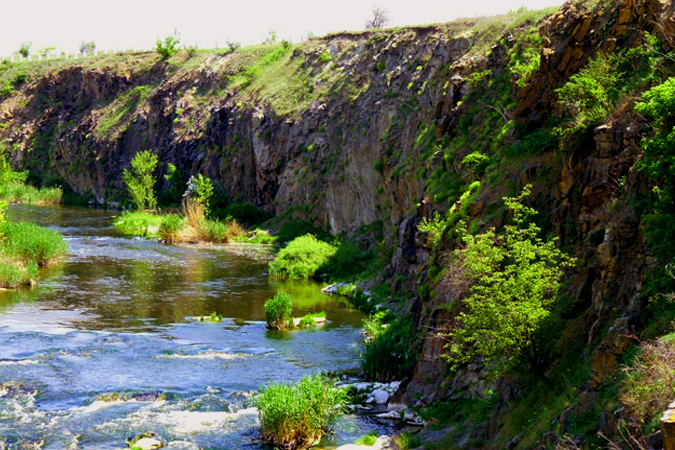 Camping near the estuary of the river Beryozovka. Supper. Overnight stay. Day2: Breakfast. 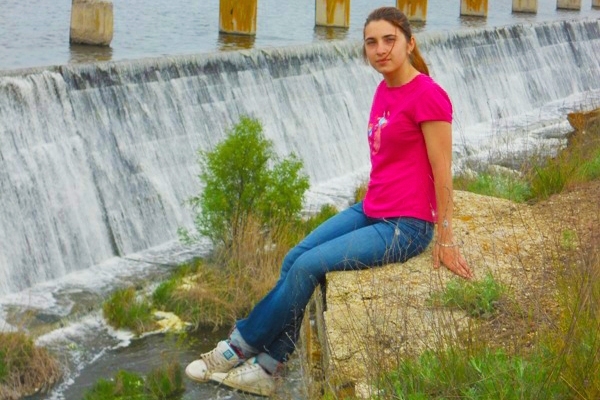 Hike along the right bank of the river Ingul and Sophia reservoir. Priingulsky landscaped park has a wonderful energy and you can feel it! Lunch (snack) on the way. 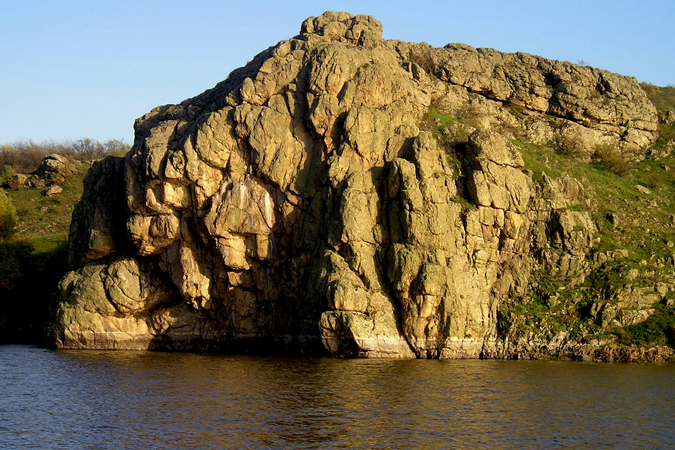 From these places you can admire the beautiful views of the cliffs “Pugach”, “Sleeping Beauty” and also Pelageevsky monastery which is widely known far beyond Nikolaev city. Camping in the park. Supper. Overnight stay. Day3: Breakfast. Hike along the Sophia reservoir. Here you cansee an incredibly beautiful landscape, which combines fjords, cliffs and forest. Lunch (snack). Hike to the village Sofievka. Camping near the village. Supper. Overnight stay. Day4: Breakfast. Hike by the r.Ingul to the Tropinins’ estates. The estate of landlords is located on the territory of Shchorsovskiy park on the opposite bank from Sofievka in the village Schorsovo. Brothers Ivan and Athanasius Tropinins, the sons of merchant M. Tropinin, were famous patrons, builders of churches and trustees of educational institutions. One of Kherson`s hospitals bears their name. In 1912 the Tropinins built an estate and laid out the park on the left bank of the Ingul. The estate was poorly preserved, but it is being restored. Also the cellar is preserved, in which the banquet hall is arranged. In the park centenary black poplars more than a meter in diameter, maples, mulberries grow. Dinner. The participants of the route can visit the healing salt lake with blue clay (at extra charge).The ending of hiking. Departure of the participants. Price includes: tourist equipment rent, instructor-guide, three meals a day (breakfast, dinner(snack),supper), payment for visiting sanctuaries, insurance. The price does not includes: transportation, visiting the healing salt lake with blue clay, personal expenses.